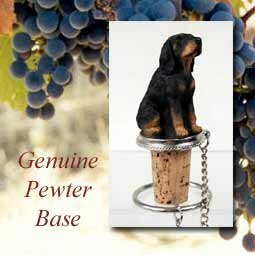 Cute Black and Tan Coonhound Wine Bottle Stopper. Hand Painted Poly Resin with Pewter Base and Chain. Wine safe Cork. Hand Painted Poly Resin with Pewter Base and Chain.